The sound quality was not good, but it worked. I think that there is a good thing made of stainless steel. This review is about item#66571207. The Harley XL1200cx Roadster, a 2017 car, Vance and Heinz, but unfortunately I did not have a short short. It was too fat. Tohoho. This review is about item#66571164. This review is about item#66571173. Because the price was cheap, I bought it with a doubt, but unlike what I had imagined, it is too small, not too big, it's just good sound. I bought a very good shopping. This review is about item#65960283. I wanted to fix the size of the screws for installation and fixed with screws like 2 or 3 places so I processed it for use. It seems that it will be effective for low frequency sounds that do not have an effect. This review is about item#66571182. Because the inner of Honda CB 72 was rotten. I also thought of making it, but this is patchy. This review is about item#66571198. I bought it for silencing mufflers of external goods. Together with the glass wool, the sound became quiet quietly. This review is about item#35153745. Although I did not understand well in the photograph, claws bent down not only in the hole but also on the inside of the cylinder. It seems that this is exhaust resistance and silenced, but I think that there is a silencing effect. However, because the sound like "wind chirping sound" is added to the exhaust sound as "Suspect ...", the preference may be divided. If you get used to it you will hear a feeling of mildness over explosion. Since the inside diameter of my bike 's silencer was somewhat larger, there was a gap so I wrapped it with glass wool and made it as a cushioning material. This review is about item#35153797. Selected from the catalog, the dimensions were perfect, the exhaust sound is slightly big, but enough is cheaper than anything else. This review is about item#35153754. Since the W650's external muffler is explosive, I installed a long type. It is effective. Just wrapped glass wool and tried to install, but the exhaust interference part was too thick to wrap the glass wool. It would be nice if we could thin the interference part. Motorcycle BMW R60 It sounds quite a bit, so it silenced, but as I thought, the outer diameter did not match and we made it. Monotaro Anything, there are. Items I think, especially parts of farm equipment. I understand bare ring etc. immediately. Parts like oil seal, please do not know the part number, please ask the farm equipment shop, but the part price will be high. I look forward to working with you. Farmer farmer. This review is about item#35153763. The sound deadening effect seems to be crisp, so I did not expect so much for use on a single item, so it will be like this. The exhaust sound of the muffler was so big that it was fitted for muffling, but although it was relaxed somewhat, it did not go as far as I wanted, or it is better to wrap the glass. Product totally There is no problem, the price is also very good. Processed and used. 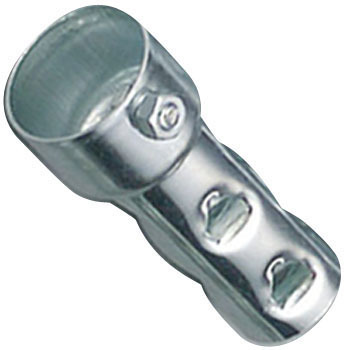 The attached screws may become rusty and can not be removed. Plating may be thin with soft iron and it may be easy to rust. Insert it in a bike's silencer. Whether the flow velocity of the exhaust gas goes down or the sound becomes a little small. Naturally, the dandruff rise also has a little effect. But it is cheap and good parts because it can be maintained for a long time compared to glass wool. I think that it is a solid product. I was not expecting much because the price was also a price, but I was satisfied that I could turn off the sound beyond expectation. It is attached to a motorcycle muffler. Attached to straight pipe of Drag Star Classic (400 CC). There is a silencing effect for the price and I am satisfied. As for entering and leaving at night, I had been starting the engine to the main road before, but now I am starting the engine from my home. I tried wearing it because the sound of the muffler is noisy. It became extremely quiet. There was a tremendous noise reduction effect. However, as I started running, the exhaust resistance has increased enormously, and the engine racing has become worse. I think that it is optimal for the warmth in the apartment, the engine starting check in the factory, but I did not fall under my intended purpose because I wanted to wear it and run. This review is about item#35153806.